NEW PHILADELPHIA, Ohio—Hines Specialty Vehicle Group is proud to welcome Michigan CAT as its newest sales distributor and service center. With locations in Novi, Shelby Township, Brownstown Township, Lansing, Saginaw, Grand Rapids, Portage, and Kalkaska, Michigan CAT has been serving the state of Michigan since 1944. 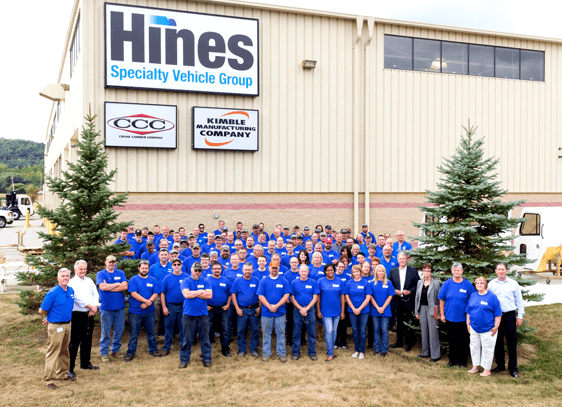 With their multiple locations, this MacAllister CAT owned business, headquartered in the Novi, allows the Hines Specialty Vehicle Group brands to better cover the entire lower peninsula of Michigan. Michigan CAT is a full-service Hines Specialty Vehicle Group distributor filling a much-needed service void for Crane Carrier chassis and Kimble Mixers in Michigan. Michigan CAT’s area of responsibility covers Crane Carrier chassis sales and full service for both the Kimble Mixer and Crane Carrier products for all counties in the lower peninsula of Michigan. 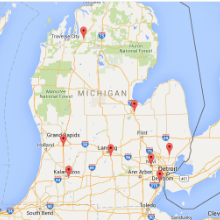 For over 38 years Michigan CAT has specialized in the service and sales of diesel and natural gas engines. Their Power Systems Division supports the sales and service of on-highway trucks. HSVG believes with Michigan CAT’s resources and commitment to customer service it has aligned with the right partner for long-term success, thorough service, and customer satisfaction in the state of Michigan. Hines Specialty Vehicle Group (HSVG), a Hines Corporation Company, is an ISO 9001 certified manufacturer based in New Philadelphia, OH. Our organization’s purpose is to provide solutions to help our customers succeed. HSVG features two brands, Crane Carrier and Kimble Mixer, known for their reliability, innovative technologies, and multiple industry applications. Crane Carrier builds purpose-built, heavy-duty Class 7 and 8 diesel, CNG, and alternatively fueled chassis including, but not limited to, the airport services and waste management markets. Kimble Mixer specializes in creating concrete mixers that are used by the biggest contractors in the industry. In addition to on-highway vehicles and concrete mixers, HSVG manufactures custom built off-highway vehicles for the agriculture, oil and gas, and construction markets. By combining the engineering strength of both brands, HSVG is able to give their customers unmatched products for a wide array of applications.